Everyone just can't get over Disney's Frozen. Every little kid, including adults, want to get that bit of Anna and Elsa as well as adorable Olaf. It isn't surprising to find so many merchandise online which are inspired by these phenomenal characters, in fact, you can throw a party with this theme. Find cheap Disney-Frozen items online and enjoy massive discounts when you use voucher codes from The Entertainer, Debenhams, Tesco, Poundshop, ASDA and Amazon. You can definitely 'let go' of any budget concerns as these deals will definitely let you save especially when you look for amazing special offers. Frozen is a Disney movie which has taken the world by storm. That is not even an exaggeration. It has created an entertaining, fun and musical adventure that people and children of all ages enjoyed. The story revolved around two sisters – Elsa and Anna, who grew up together. However, they were separated by an accident because of an accident. They were just in the same palace, but they were not able to speak to each other. This only changed when Elsa was hailed their queen. When Anna learned about the secret powers of her sister – controlling ice and snow, Elsa ran away. That’s when their journey unfolded. Very true to all the Disney movies you can think of, this film has a beautiful animation. Its music is enchanting and its storyline is memorable. Frozen has surpassed the commercial realm. As a matter of fact, it is common to see little girls on the streets belting their lungs out to the original soundtrack of the song or dressing up like the characters in the movie during birthday parties, among others. With the popularity of Frozen, it is not surprising that many Frozen-inspired products are sold in the market up to this day. From toys, bags, clothes, and other kinds of merchandise, kids will definitely have something for them to buy and enjoy. Where Can I Find Cheap Disney Frozen UK? From Frozen fancy dresses, dolls, playset, accessories, remote, car seats, boots, handbags, curtains, socks, and watches – the internet got you covered. Find Frozen merchandises like Disney Frozen toys, Frozen figures, Elsa gifts and more. This is possible because of the sales, special offers, voucher codes and discount codes available here at Latest Deals. With our team of money-saving experts and a huge community of bargain hunters online who share best affordable deals on Frozen toys sale and frozen toys Smyths, you can take advantage of Frozen-related products without hurting your budget. Most offers are from your favourite UK retailers including Bargain Max, Mothercare, Sky, The Entertainer, The Works, Toys for a Pound, Xs-stock and more. Where Can I Find the Best Deals on Cheap Disney Frozen Online? If you are looking for Frozen playset that may include a Frozen castle or even Frozen dolls, here are some of the websites that you can check for deals: Argos. Argos offers Disney Frozen interactive quiz puzzles, inflatable sofas, trampolines, quad skates, scooter, fashion dolls, protection pad sets, among others with a savings of up to 20% off. Take advantage of their lowest price ever on select Disney’s Frozen as well as free delivery. Debenhams. Debenhams is fully aware of the Disney Frozen fever and so it features Frozen-themed games, toys, adorable dolls, costumes, books and other products for kids and fans. 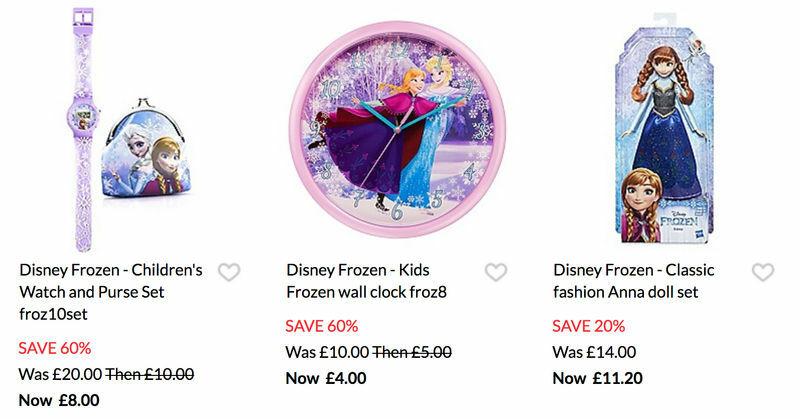 Find a great range of Disney Frozen merchandise on the sale department of Debenhams where you can save as much as 60% off. eBay. eBay provides great deals on Disney Frozen Party Favors which may also work for every occasion. It also has gift ideas such as stuffed toys and dolls which you can give to kids you know. Shop with confidence at this retailer and get some serious money off on a wide selection of Elsa gifts with free delivery. Tesco. Tesco has Disney Frozen-themed Elsa Dress-Up Costumes, Pyjamas, Pop Up Games for parties, Light Up Slippers, Swimsuit and t-shirts perfect as a gift or personal use. Get coupons, promo codes and discount codes for Tesco to enjoy extra savings. Be a member of Latest Deals to have access to this, plus a free delivery voucher which can stretch your budget even more. This can be utilised not only for Disney Frozen-themed products, but on others too. Very. Very comes with a long list of Disney Frozen toys that you can choose from. You can order online and have yours delivered for free. 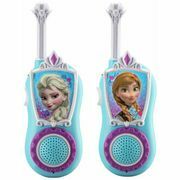 There is a huge range of offers and outstanding deals on the latest Disney Frozen toys you can think of where you can enjoy up to 70% off from your purchase. Ice Palace Playset. This Disney Frozen Elsa’s Ice Palace Play Set is perfect in re-enacting scenes from the movie. There is a button on its step. When pressed, snow turns into stairs. A beautiful light show may also begin by tapping the snowflake on the floor. This is a magical playset that is also filled with icy accessories including the scepter and silverware of Elsa. Another is a doll stand which is intended for the Ice Queen. Backpack with Accessories. This backpack comes with hair accessories that are cute for little girls who are waiting for the installment of the movie. The bag may be used in carrying other stuff. Strutting with this bag is possible. Just match it with a good outfit and your kid is definitely good to go. Multi-Bin Toy Organiser. It should not be surprising why this organiser is a best-seller on Amazon. This Frozen-themed bin is adorable. It may be employed in storing toys, clothes, or even your kid’s growing Frozen dolls collection. It can hold anything you might think of. See if it suits the motif of your child’s room. It is definitely going to add fun for sure. Sing-A-Long Elsa Doll. When it comes to Elsa-inspired dolls, you will not run out of selections to pick from. One of which is the sing-a-long doll that gives hours of entertainment for kids who do not know how to stop jamming to Let It Go. This is not only for kids but also for adults who want to sing along. Consider this a bonding that you should not miss. Elsa Costumes for Kids. This dress is ideal for little fashionistas who are into Frozen-inspired things. This little Elsa twinkles whenever you step out with it. This happens because of its shimmering motion-activated lights which are seen in the skirt and cape. Indeed, the gown is stunning. This is for girls who want to channel their inner Ice Queen. Karaoke Machine with Lights. 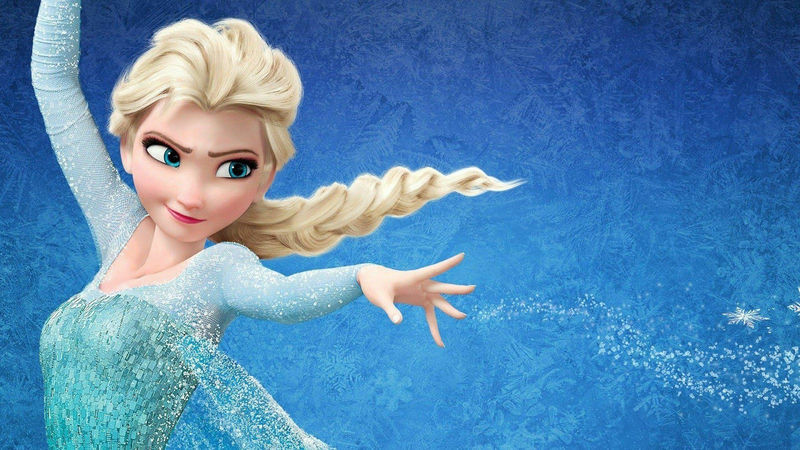 Sing along with the songs popularised by Frozen such as Let It Go and Do You Want to Build a Snowman. This machine may be connected to any device, which includes your iPhone or iPad. Afterward, play a song of your liking. You may even plug this into your TV for a boost in the volume. What is even better is that it comes with microphone inputs. This is why your kid will definitely be able to rock with a duet if a friend decides to join the fun. Sketcher Projector. Any young artist would love this Frozen Sketcher Projector. This projector displays artwork for around 20 times on a wall or ceiling. It goes with special markers that enables users to just trace their favourite sketches or characters. There are also sheets provided to do this. Once done, light them up to see the product. For a more layered effect, using multiple sheets can also happen. Do not worry because most sheets are reusable. Tsum Tsum Olaf Bag. Tsum Tsum is a plush craze from Japan that has included Frozen in their designs. This may be an inclusion to the collection of your kids. This cute Olaf Bag comes with a surprise – mini Tsums that include Snowgie, Anna, and Elsa. Indeed, this is a lovable version of your beloved characters.